Willene Davis, 93, of Coleman, Texas, passed from this life, Tuesday, February 12, 2019 at Holiday Hill. There will be a visitation will be from 6:00 p.m. to 7:30 p.m., Wednesday, February 13th, at Stevens Funeral Home, 400 West Pecan Street, Coleman. A family burial will be 10:00 a.m. Thursday, February 14th, at the Coleman City Cemetery. Services are under the direction of Stevens Funeral Home. Willene was born July 20, 1925 in Coleman Texas to Harmon and Cynthia Blanton. She graduated from Coleman High School and graduated from Draughns Business College in Abilene. She married Weldon Davis July 3, 1949, in Kerrville. She worked for Production Credit, C. M. Huckabee Insurance and Coleman ISD. 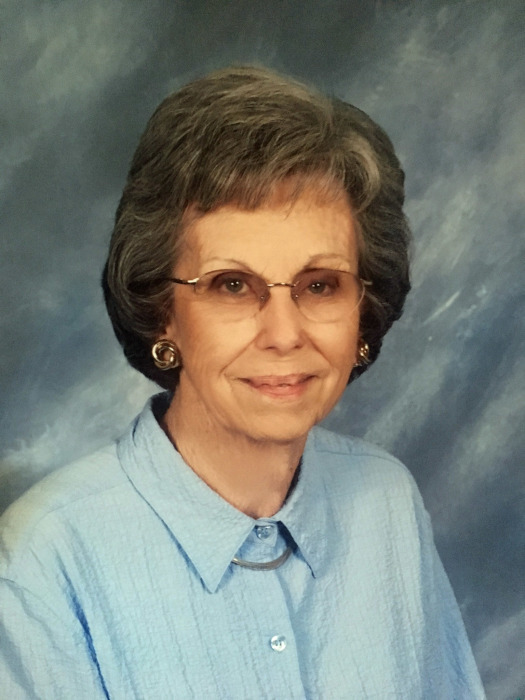 She was the treasurer for First United Methodist Church in Coleman for many years. She was a member of First United Methodist Church and a charter member of the Dunson Class. She was also a charter member of Circle C Cattlewomen, Texas and American Hereford Auxiliaries. Willene was an adult 4-H leader in Coleman County for many years. Survivors include two children, Ann Guess and husband, Jim, of Coleman, Jay Davis and wife, Tammy, of Coleman; three grandchildren, Reid Guess of Waco, Haley Guess of Llano, Taylor Shorb of Midland and four great grandchildren, Brayden Baldwin of Coleman, Elliot Guess of Waco, Emmi Guess of Waco and Allie Shorb of Midland. She was preceded in death by her husband, Weldon Davis on December 16, 1987 and a sister, Juanita Driskill. In memory of Willene, the family asks that memorial donations be given to the West Texas Rehabilitation Center, 4601 Hartford Street, Abilene, Texas 79605-9989, the Coleman County Youth Activity Center, P. O. Box 766, Coleman, Texas 76834, or the donor’s favorite charity.